NEW YORK—Weber Shandwick, Allison + Partners, Kwittken Company, Bateman Group and RockOrange are among The Holmes Report’s 2014 Agencies of the Year for the Americas. The list also includes Canadian Agency of the Year Veritas and Latin American Agency of the Year Approach. The firms were selected by The Holmes Report’s editorial staff from among finalists announced last week. The selections are based on our Agency Report Card process, which seeks input from more than 100 agencies across the US and the Americas, with growth, awards, and industry perceptions also taken into account. You can view the Americas Specialist Agencies of the Year here. The winners will be presented with their trophies at our annual SABRE Awards dinner, which will take place on May 6 and New York’s 42nd Street Cipriani. MIAMI, April 23, 2014 – Miami-based public relations, marketing and digital firm RockOrange is proud to announce that it took home the prestigious Public Relations Crossover Award at the Billboard Latin Music Marketing Awards, for Gloria Estefan’s “The Standards” album launch campaign. Powered by CLIO, the agency was among four honorees in its category at the 2014 Billboard Latin Music Conference. RockOrange, together with Sony Music Masterworks, carried out a strategic and tactical cross-platform campaign with the overall goals of generating record sales and driving brand awareness through traditional and social media outreach. Furthermore, the agency also partnered with Gilt City to drive awareness to Gloria’s music to a new, digital, influential audience via branded content and events. The campaign included Miami Curated Collection (Gloria’s Miami), Los Angeles launch event with Kathy Griffin, and a download offer with a track exclusive to Gilt. The agency designed an extensive national media campaign that included East and West Coast print and primetime broadcast media on major U.S. Hispanic and general market media outlets, which built awareness around Gloria’s latest music to a new fan base, while still remaining relevant to her core audience. RockOrange secured Gloria’s interview on “Oprah’s Next Chapter,” making her the first Hispanic to be featured on the OWN Network. In partnership with Sony Music Masterworks, the agency secured Gloria’s exclusive PBS Special performance at Miami’s New World Center. The firm also secured appearances on other broadcast media, including: “Good Morning America,” “The View,” “CBS This Morning,” “Chelsea Lately,” “Despierta America,” “El Gordo y La Flaca” and many more. In addition, the campaign garnered print and online coverage, which included The Wall Street Journal, NPR, American Way, NBC Latino, NY Daily News, Huffington Post and more. The album launched on Sept. 10, 2013, and debuted in the top 20 of the Billboard 200 chart, generating millions of social, digital and media impressions. Most importantly, it was No. 1 on the Amazon Broadway & Vocalists and Vocal Pop Charts, a career first for Gloria. Gloria garnered two GRAMMY Award nominations and also earned an NAACP Image Award. 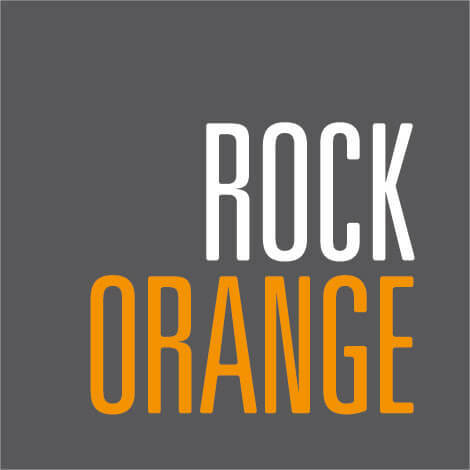 For services offered and contact information, visit www.RockOrange.com.